Yet in 2015, it was reported that 45.4% of sales representatives would not hit their targets.2 VUCA3 conditions may be partly to blame for wobbly performance however wide scale change brings some positive news for sales too, in the form of artificial intelligence (AI). AI is expected to increase sales performance by improving processes, management of data, and lead follow up. But, in dehumanising the sales process, organisations may be gambling with the relational and emotional needs of their customers which are satisfied by human interaction. 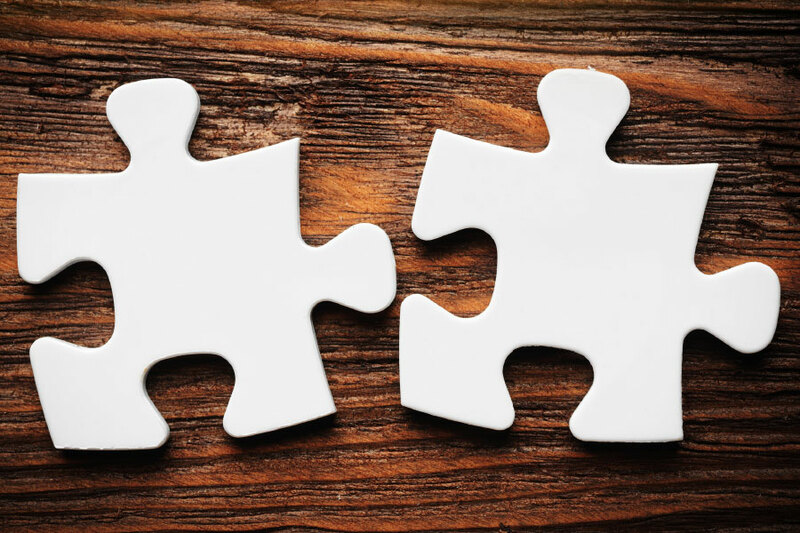 To get the best of both worlds, organisations can learn to strike a balance by embracing what AI has to offer at the same time as giving their sales managers the skills to build high performing teams. Typically, great sales representatives are promoted into key sales management positions based on their “selling” skills rather than their ability to manage teams of people. As a result sales managers are likely to lean in on what they already know - targets, analysis, forecasting and reports - while neglecting the people aspects of their role. When they don’t get the results they are used to, they may experience a dip in confidence, which may damage the performance of the team. If they don’t get the support that they need to step up to their leadership role, the longer term sales performance will be put in jeopardy too. So, is 1-to-1 coaching the secret to building high performing sales teams? With 73% of sales managers spending less than 5% of their time on coaching6, the move from managing to coaching is a bigger challenge that one might expect. 1-to-1 coaching requires a substantial change to the way sales managers apportion their time, particularly for those with large teams. Also, what happens behind closed doors in a coaching session may be at odds with the reality of what happens on the front line. This dichotomy may reduce the return on investment and hamper the chances of coaching gaining traction and getting the results it is capable of. 1-to-1 coaching has its place but to really help a sales team to increase its performance, coaching needs to escape the meeting room and become a part of the culture of the sales organisation. To achieve this cultural shift, sales managers must cast aside their task master persona in favour of an ‘Operational Coaching’ style of leadership. ‘Operational Coaching’ differs from 1-to-1 coaching because it happens in the moment, in everyday operational settings, and at the point of need. It is perfect for sales teams where high levels of agility can make all the difference and it doesn’t require time away from the day job. When sales managers adopt an ‘Operational Coaching’ style of leadership they increase the level of enquiry that occurs in every interaction. They ask better questions of their sales representatives, which generates far more options, and ultimately better solutions to problems. At the same time, sales representatives learn to think more independently, more creatively, and feel more empowered to act and make decisions. The impact on the sales interaction is also phenomenal. Sales representatives that learn how to replicate the coaching approach with their customers will get better results. An analysis of 519,000 discovery calls showed a clear relationship between the number of questions asked and the chances of success.7 Instead of being intent on driving a sale, sales representatives that are used to an ‘Operational Coaching’ style are more likely to adopt an ‘Enquiry-Led ApproachTM’ themselves and are more likely to understand what their customers need, be able to build better (longer term) relationships, and ultimately close the sale. So, is ‘Operational Coaching’ the secret? ‘Operational Coaching’ is one the most effective ways of changing manager behaviour in an operational setting. Through Notion’s live training programmes, leaders and managers learn how to use ‘Operational Coaching’ skills to enable them to engage with people in a better way, for outstanding results. Repeatedly proving its ability to deliver up to 100 x ROI, ‘Operational Coaching’ delivers an impressive host of commercial and social capital gains. 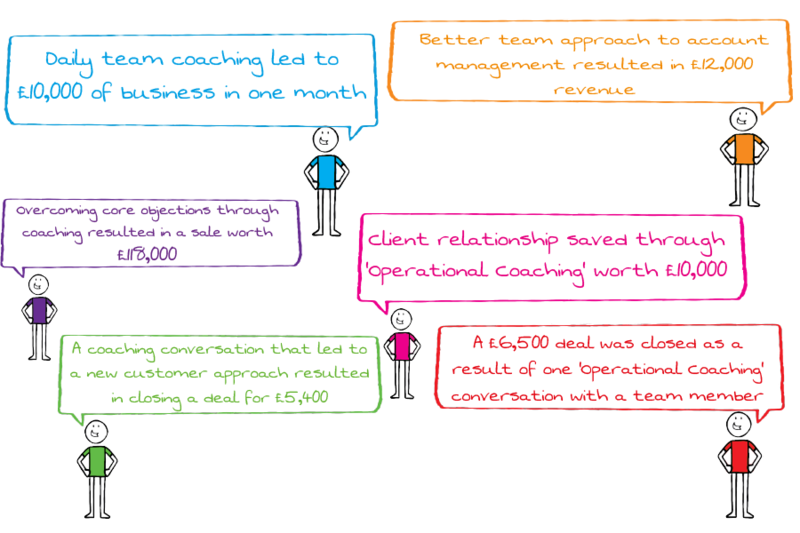 Here are just a few of the results that were achieved by a leading recruitment company when they worked with Notion to enable their sales managers to use ‘Operational Coaching’ skills. Clearly, Notion’s live programmes are a great way to deliver ‘Operational Coaching’ skills to small to medium sized sales teams, and, to really make an impact on large sales teams Notion can also offer an exciting and innovative virtual blended development option through its acclaimed STAR® Manager programme. So, the secret to building high performing sales teams is not only the coaching philosophy, it’s the impressive speed and scale at which ‘Operational Coaching’ skills can be delivered to sales managers through a range of exciting options including STAR® Manager, which is generating outstanding results for Notion’s clients. STAR® Manager is a game changer, accessible anywhere, via any device, at any time - and importantly at the point of need. Sales managers can develop their skills on the job, complete live missions, and respond to issues as they occur in a way that is completely bespoke to them. A technological solution to a very human need, STAR® Manager ensures that people skills can be developed in synergy with new AI solutions. Furthermore, the speed at which STAR® Manager can be implemented means that sales managers can start making an immediate difference to how they engage with their sales teams and their customers, and begin to see the results in sales productivity and team performance straightaway. Notion is a global expert in behaviour change. To talk to us about how ‘Operational Coaching’ or STAR® Manager can improve the performance of your sales team call us on +44(0)1926 889 885 or visit us by clicking here.